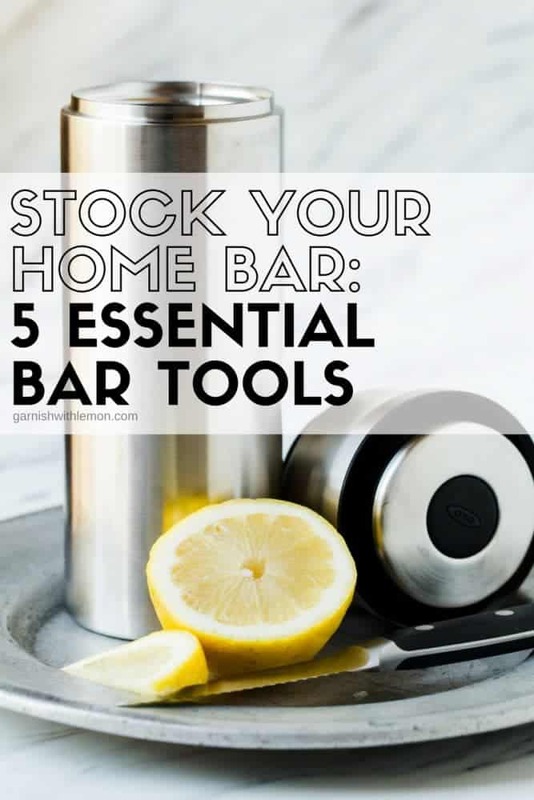 Entertaining is easy when your home bar is stocked with these 5 Essential Bar Tools. The holidays will be here before you know it, and we want to be sure you are prepared. We’ve got our second post for you today in our new Stock Your Home Bar series. 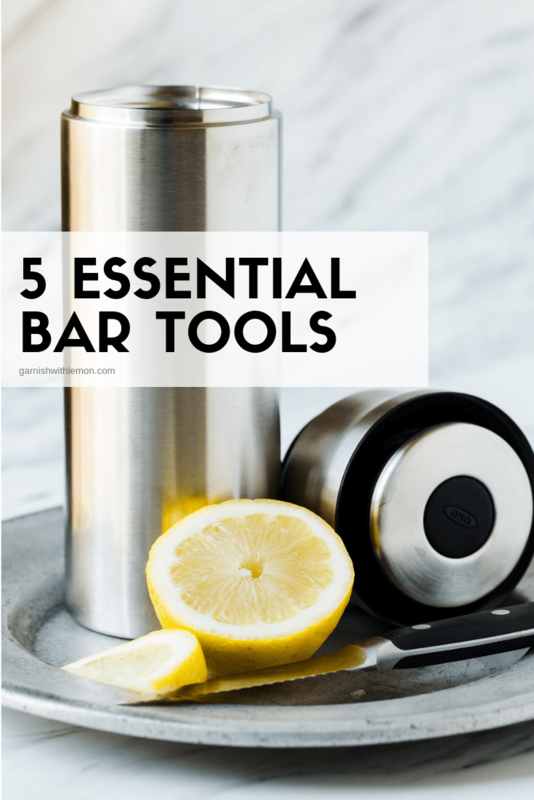 We kicked the series off with the 5 Essential Cocktail Glasses, and today we are sharing the 5 Essential Bar Tools to help you make killer cocktails. With these tools in your home bar, you will be ready to tackle the holidays with ease. All shakers are not created equal, and we love this OXO Cocktail Shaker. It’s easy to use and keeps cocktails cold. Plus with the button dispenser, you don’t need to worry about leaks and spills. Anything that keeps clean up to a minimum is a win in our book. Suggested Beverages: Metropolitan Martini, Pomegranate Martini, Kahlua Cocoa Martini. We forego old school traditional bar jiggers and always use these OXO Liquid Measuring Beakers. They are easy to read and have multiple sizes to take the guesswork out of measuring smaller amounts. Any bartender knows that proper proportions make or break a cocktail. Suggested Beverages: Perfect Manhattan Cocktail and Classic White Russian. It’s impossible to make a good mojito without a Muddler. A muddler can be used to crush herbs to release their oils as well as squeeze juice from fruit to extract the maximum flavor possible. Suggested Beverages: Tequila Mojito, Watermelon Mojito, and Blueberry Margarita. Fresh lemon and lime juice take ordinary cocktails and transform them into amazing cocktails. A Hand Held Juicer does the heavy lifting for you and guarantees to keep your cocktails free from seeds. A great tool for a well-stocked home bar. Suggested Beverages: Gold Rush Cocktail, Ginger Pear Martini, and Cranberry Gimlet. Cocktails look professional when they are finished with a garnish. This Bartender’s Knife is a workhorse in our home bar. It easily slices lemon and lime wedges as well as fruits for batch cocktails. Suggested Beverages: Maple Old Fashioned, Strawberry Kiwi Daiquiri, and Whiskey Ginger Cocktail.